CBC is one of the biggest broadcasters in Canada and they are home to some fantastic programming. They offer a little something for everyone, with a great news outlet that is highly regarded, radio stations that are listened the world over, and general TV programs that enrapture many Canadians. It is only available in Canada though, so how do you watch CBC outside Canada? CBC isn’t only useful to Canadians, sure it is Canadian focused but who doesn’t love some Canadian syrup on their pancakes in the morning (or at any point in the day, really)? The least we could do is to indulge in the rest that Canada has to offer. So how can you watch CBC outside Canada? Well the process is pretty simple and involves very little work, once you have your method figured out, you are free to enjoy CBC in its entirety. There are two ways of gaining access to CBC outside of Canada. Which one is best depends on the individual, I will list out the pros and cons of each method so you can make an informed decision as to which works best for you. Using a VPN to access CBC has the added advantage of encrypting all of your internet browsing data. For many people this is vital, and Smart DNS cannot do this for you. Using a VPN can slow your internet connection so streaming could become somewhat difficult if your bandwidth cannot keep up. VPNs are not possible to set up on all devices too, if you are using something like a Smart TV, using a VPN may not be an option. Smart DNS does not affect your internet speed so streaming will not be a problem providing your internet speed is fast enough in the first place. It will not encrypt your data and you have to make sure you find a Smart DNS provider that explicitly states that they unblock CBC. Smart DNS is pretty much available on all devices, you simply have to change the DNS settings on your device, which the vast majority of internet enabled devices allow you to do. If you don’t already have a VPN provider (or maybe yours doesn’t offer Canadian servers) it is important to find one that offers just that. 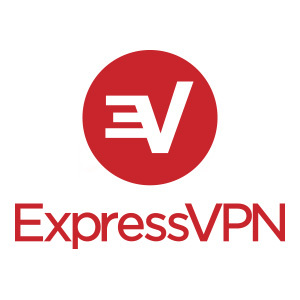 ExpressVPN offers server locations in 154 countries, including Canada, in which it has three separate servers (Montreal, Toronto, and Vancouver). CactusVPN is another good choice and it is more of the budget option, however this isn’t to say the service is low quality. They offer one server in Canada and it costs just $7 a month, this also includes a Smart DNS service that unblocks CBC so you get the best of both worlds. Depending on which device you are using you may find that if your VPN provider offers their own program or application, this may be your best choice. If you are not well versed in how to setup a VPN connection manually the program will make connecting a breeze. All you have to do is log in and choose which protocol and server to connect to and you are off. Even if you do know how to set up your own VPN connection, these programs often offer nice extras like a kill-switch. Manually setting up your VPN connection is a simple process, Windows natively supports PPTP, L2TP and SSTP. OpenVPN has its own software that allows you to use the protocol. Make sure when setting up your VPN connection that you use the details of the Canadian server. Once you are connected to your Canadian VPN server, you are free to access CBC and enjoy all the content they have on offer. As mentioned above, CactusVPN offer a really competitively priced VPN and Smart DNS service that both offer access to CBC, this costs just $7 a month. If you are only interested in the Smart DNS option, then they offer just that for $5 a month. Unlocator is offer a great service as well, at just $4.95 a month you can watch CBC outside Canada. They offer a host of other popular services as well. As long as you find a Smart DNS provider that states they unblock CBC, then you are good to go. Your Smart DNS provider may offer their own app for connecting to their Smart DNS servers, feel free to use it as it is often the most straightforward way of setting it up. For those that need to set it up manually, it simply involves you editing your internet connection settings (the DNS values specifically) to the DNS server IP addresses given to you by your Smart DNS provider. You will have to do this if the platform you are using to access CBC doesn’t have an app available. Once connected to your Smart DNS service, you can enjoy CBC to your heart’s content. Whether you choose VPN or Smart DNS, three simple steps are all that it takes to watch CBC outside Canada. If you enjoyed this How-To guide, please share it with those that can benefit from gaining access to CBC. If you have anything to add, please let us know in the comments.